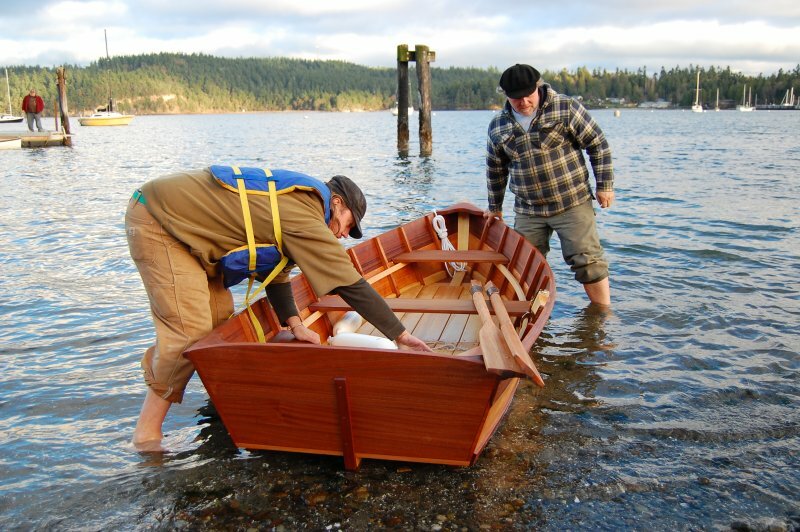 The Northwest School of Wooden Boatbuilding, located in Port Hadlock, Washington, launched this Nordlund skiff in December last year. Built by instructor Ben Kahn’s 2013 Basic Boatbuilding Class, it is 11′ long, and weighs just over 100 pounds. The skiff is planked with western red cedar and Alaska yellow cedar over sawn frames. Guards and floorboards are Port Orford cedar. 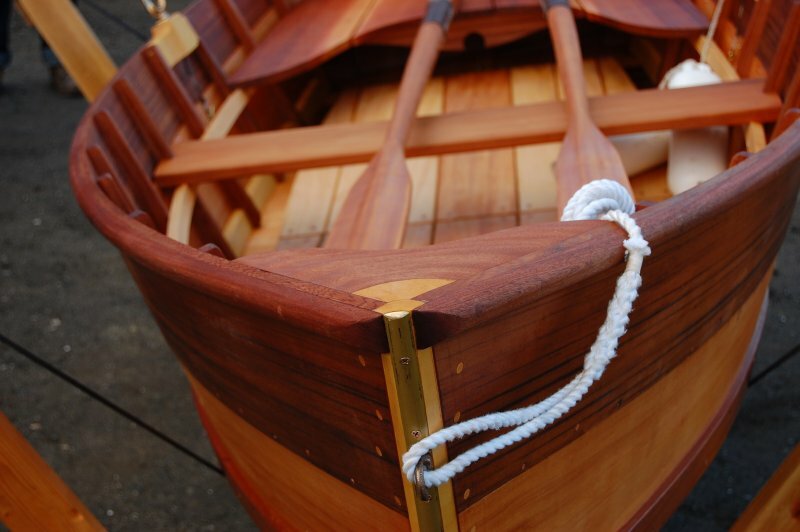 The stem and transom are sapele, and the oar pads are black locust. The class finished it with a mixture of teak oil and varnish that they call “boat sauce.” It is certified to safely carry 640 pounds with a maximum capacity of 710 pounds. The Nordlund skiff was drawn by designer and boatbuilder Dale Nordlund in the mid-1950’s as a practical flat-bottomed boat. Dale lives on Marrowstone Island on Washington’s Olympic Peninsula. The version built by the school was drawn by Dale in 1971. These boats are sometimes referred to as “flat-iron”, “flat-irons” or just plain “flatties.” When viewed from above, their shape looks like the old fashioned metal iron used to press clothes at the beginning of the 20th century. 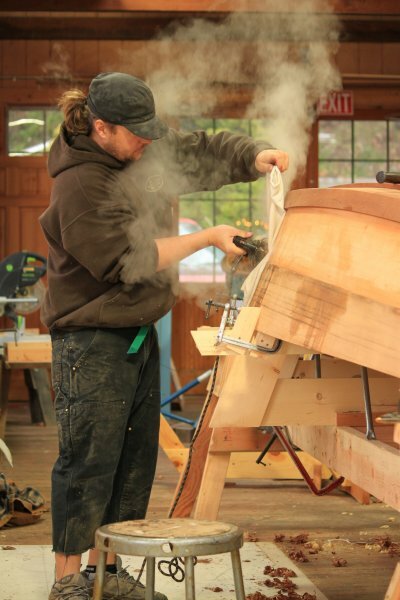 The Northwest School of Wooden Boat Building is an accredited, non-profit, vocational school. 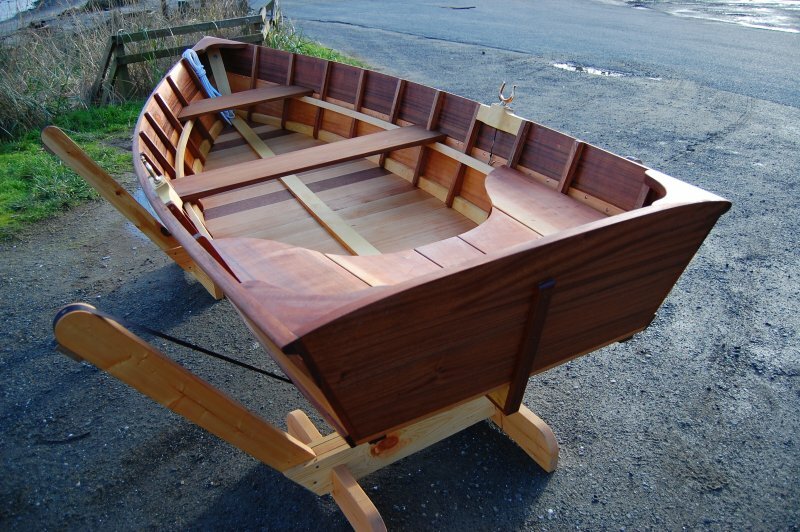 Its mission is to teach and preserve the fine art of wooden boatbuilding and traditional maritime crafts. 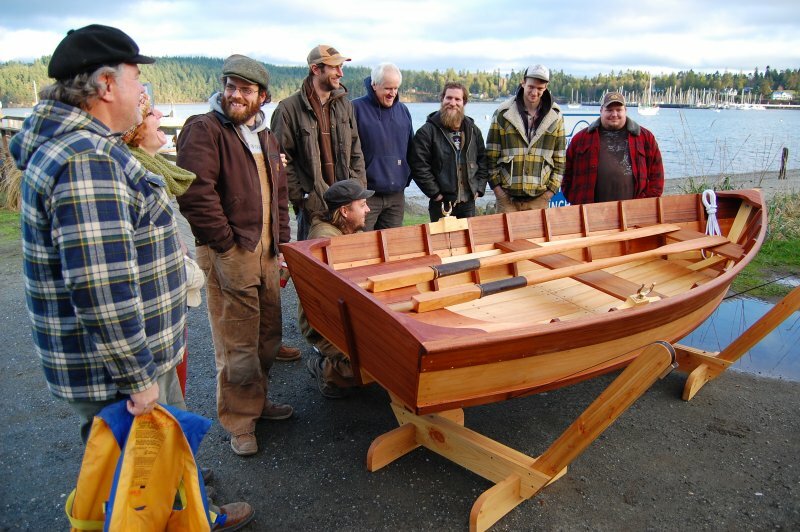 They build both commissioned and speculative boats for sale while teaching students the boatbuilding skills they need to work in the marine trades. Find out more on our website at www.nwboatschool.org, e-mail us at info@nwboatschool.org, or call 360-385-4948.